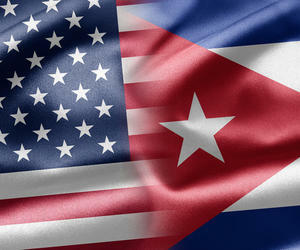 With the decisions taken by the government of Cuba and the US an assessment of our business system is necessary. The US president Barack Obama said the intention of establishing trade relations with Cuba starting with interbank transactions. This is an important step in relations between the two nations, if sought, as an end, the total elimination of economic, financial and trade embarg which exist since 55 years ago. The Cuban economy accordingly with the removal of the embarg need to dispose of old patterns of current enterprise system, to achieve the development of the national economy in terms of foreign investment, mainly American, in important areas of production. Define what economic system exist in Cuba, what system would we pretend to have, eliminating double currency radically, replacing all obsolete machinery, reducing burocracy and reconform on a single policy strategy of the country are the problems that coexist internally in our economy and note that if we sell the world a paradise for investment we must eradicate such difficulties. News of establishing diplomatic relations between the two countries has a positive impact on the national economy. Foreign companies doing business with Cuba have increased its value in major world markets, only with the announcement. Without a doubt, the lifting of the embarg would make Cuba in the sights of the business world, because two important factors come together: the new and interesting foreign investment law and the presence of American business men and businesses in the Island with global prestige. With these changes, Cuba will go through a new page in its history. Training and preparation of Cuban business men is very important for these changes. To be more incisive and operational is vital to better guide the investor and also recognize when a negotiation is more feasible. Another issue important is the creation of a new legal apparatus from lifting the embarg, because the existing scheme was based on compatibility with it.